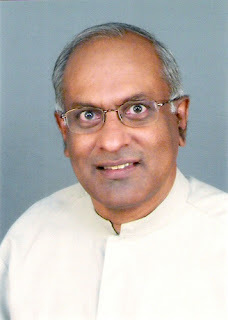 Ajith Fernando, the teaching director of Youth for Christ in Sri Lanka, will present a lecture, “What is our Passion? Jesus in a Pluralistic Culture,” on Oct. 2 at Whitworth University. Before accepting his current role, Fernando served as Youth for Christ’s national director for 35 years. His lecture will take place at Whitworth’s Robinson Teaching Theatre in Weyerhaeuser Hall at 7 p.m. Admission is free. For more information, please call (509) 777-4345. Fernando’s lecture will address if Christians still affirm both the uniqueness of Christ and that Christ is absolute truth. Dottie Mohrlang, Whitworth’s associate director for Certification in Ministry, says that despite Fernando’s accomplishments and dynamism in speaking, he lives humbly and passionately as a servant of Christ. At Youth for Christ, Fernando ministers to Christian workers and others through counseling and a Bible teaching ministry, both in Sri Lanka and abroad. Youth for Christ reaches out to thousands of youth in various parts of Sri Lanka with the message of Christ, with a special focus on youth drug addicts and urban poor. In the process, Fernando works with the two warring ethnic groups, both in outreach and in leadership training. For four years, Fernando was a keynote speaker and Bible expositor at the Urbana Missions Conferences in Illinois, each attended by about 20,000 university students. He has also been the keynote speaker and Bible expositor for the last two Lausanne Convocations, which bring Christian leaders from all over the world to focus on a vision for Christian outreach for the future. Fernando is a visiting lecturer and council president of Colombo Theological Seminary, in Colombo, Sri Lanka, and he also serves as a visiting scholar at Tyndale University College and Seminary, in Toronto. One of his books, The Call to Joy and Pain, was awarded the Christianity Today Book of the Year award for church and pastoral leadership. He also serves on a team creating a new translation of the Bible into Sinhala, a commonly spoken language in Sri Lanka. The Whitworth Speakers & Artists Series presents a broad range of voices, perspectives and ideas that enrich the intellectual and spiritual life of the campus and the larger community. Since 1890, Whitworth has held fast to its founding mission to provide its students with an education of mind and heart. Whitworth faculty and staff are confident that Christian worldviews and Christian thinkers are sharpened by rigorous and open intellectual inquiry and by engagement with the broadest spectrum of ideas. This confidence motivates Whitworth to invite to campus speakers and artists who can help our community engage in critical and careful thinking, as well as in civil discourse and effective action to honor God, follow Christ and serve humanity. Toni Sutherland, chapel program coordinator, Whitworth University, (509) 777-4345 or tsutherland@whitworth.edu.